Ilsco TA3 Dual rated 6-Hole mechanical lug accommodates three 800 - 350-KCMIL wire. It withstands voltage rating of 35-Kilo-Volts. 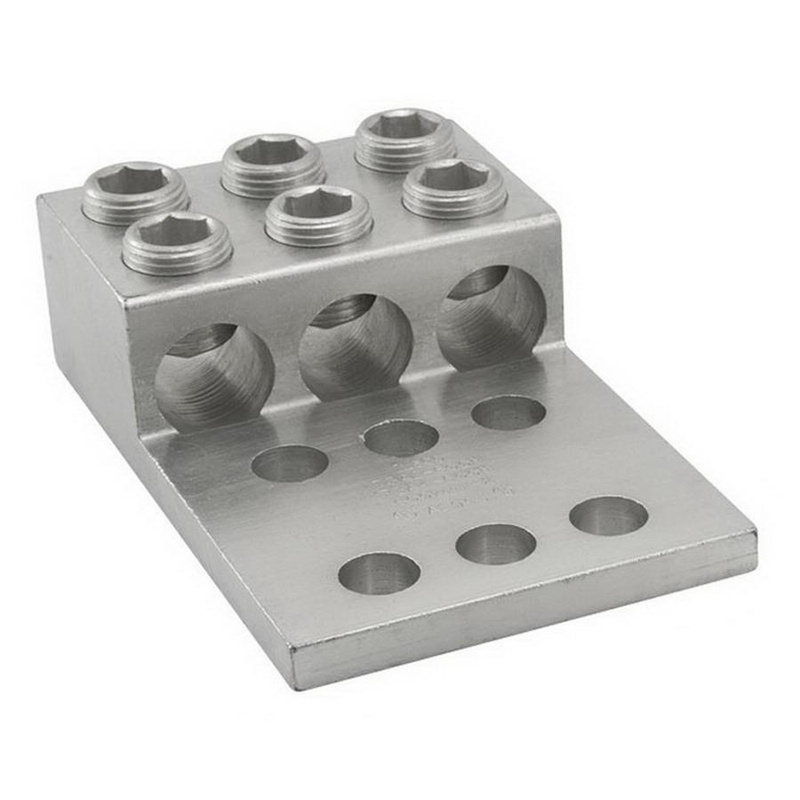 This lug has 6061-T6 aluminum alloy construction and electro-tin-plated finish. It has size 1/2-Inch stud and stud hole spacing of 1-3/4-inches. This 1/2-Inch hex size lug has chamfered wire entry that provides ease of installation. It is suitable for use with either copper or aluminum conductor. It measures 5.9700-Inch x 4.1250-Inch x 1.8130-Inch. It withstands temperature rating of 90 deg C. Lug is UL listed, CSA certified and RoHS compliant.